Muay Thai is a sport where even the smallest detail is crucial. When observers scratch the surface a little, they will see that there are various styles that contribute to “The Art of the Eight Limbs”. Perhaps the most feared of all Muay Thai styles is the Muay Khao (Knee Fighter). Fighters molded in this shape tend to exhibit a particular set of attributes. 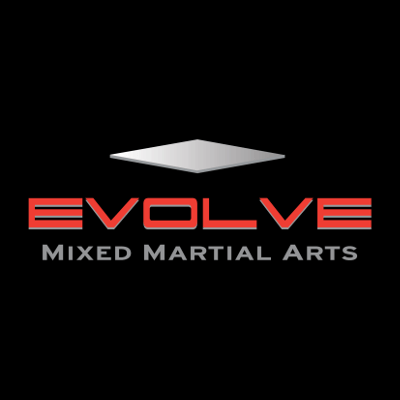 These components are most associated with the powerful side of the Muay Thai spectrum of styles. Think strength, force, an overbearing clinch game, brutal knees, and a relentlessness which can expose cracks in even the most durable of opponents. The Muay Khao is typically gifted with a larger physique and particularly strong in close-quarter combat. This type of fighter moves forward, stalking his opponent until he finds a way to corner his target. Muay Khao stylists use the clinch like a predator that instinctively injects venom to paralyze its prey. Locking in and dominating its catch with superior strength and incisive knees, there is perhaps no worse position for a Nak Muay to find himself in. With absolute control over an opponent by way of considerable strength, the perfect arm positioning in the clinch, rocket-launching knees, the Muay Khao is the epitome of danger. They throw cutting elbows like knives through hot butter, employing snappy sweeps and awesome throws to dominate their opponents and break them down incrementally. Below, we take a look at some of the best Muay Khaos in Muay Thai history. In any other combat sport, labeling a 22-year-old fighter one of the best of his style in history may raise eyebrows. In case you haven’t noticed by now, Muay Thai is not like any other combat sport. Fighters commonly begin training at a young age. Muay Thai World Champion Yodwicha Kemmuaythaigym may be considered young by some, but has already fought 226 bouts by the mid-point of 2018. That might put things into perspective for some. Within these 226 bouts, the “legend killer” has some pretty incredible wins. Singdam Kiatmookao and Saenchai PKSaenchaiMuayThaiGym are all notable victims of the Muay Khao’s wrath. Yodwicha is a tall and rangy fighter, with a physique perfect for the Muay Khao style. Multiple-time Muay Thai World Champion Sagetdao Petpayathai is widely regarded as not just one of the greatest Muay Khaos in history, but one of the sport’s best Nak Muays ever. 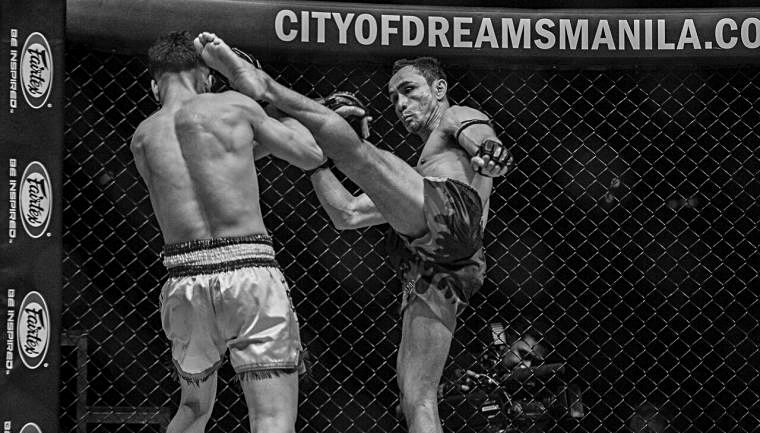 Sagetdao’s excellent knee-fighting style landed him multiple Muay Thai world championships. 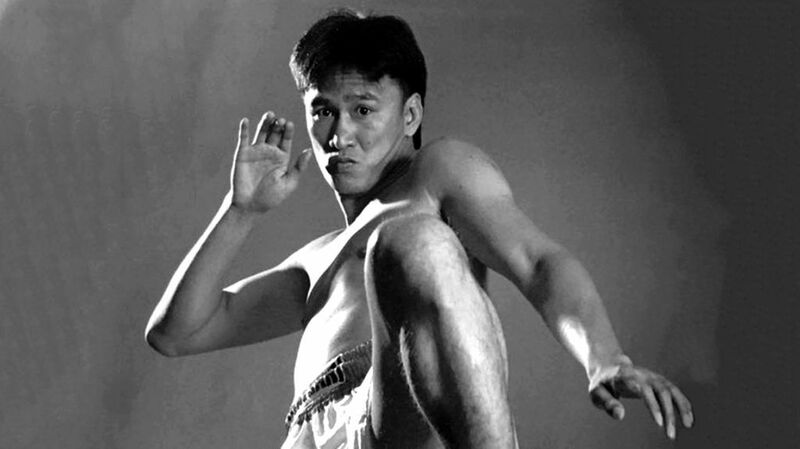 His style was considered extremely difficult to counter by the majority of his opponents and would lead to various honors which include the stellar Lumpinee, Rajadamnern, MAX Muay Thai, and WBC Muay Thai world titles. The epitome of what a Muay Khao should be, Sagetdao holds wins over notable Muay Thai legends and names such as Saenchai PKSaenchaiMuayThaiGym, Petchboonchu FA Group, Singdam Kiatmookao, Nong-O Gaiyanghadao, Anuwat Kaewsamrit, and Nongbee Kiatyongyuth. Sagetdao moved over to MMA in 2017, winning his first three bouts under the ONE Championship promotion by first-round knockout. Two of those finishes came by way of knee strikes, which is worth mentioning. 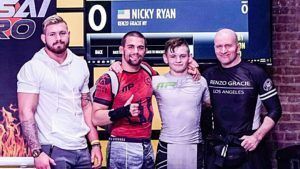 Having found success in MMA – and with a strong Muay Khao base – Sagetdao has given other Nak Muays reason to consider trying their luck in mixed martial arts. Multiple-time Muay Thai World Champion Petchboonchu FA Group is simply one of the greatest clinch fighters of all time. He is also the most decorated Muay Thai World Champion in history. Petchboonchu has an incredible 14 titles to his legacy. He is a five-division multiple-time World Champion, multiple-time Lumpinee Muay Thai World Champion, Rajadamnern Muay Thai World Champion, WMC Muay Thai World Champion, Thailand Champion, and more. Petchboonchu holds three victories over Muay Thai legend Saenchai PKSaenchaiMuayThaiGym and has other notable wins to his name. 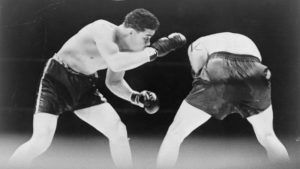 Behind his success was a fighting style which was undeniably effective against many fighters who exhibited different strengths. Petchboonchu found success in various weight divisions, all off the back of his relentlessness, superior clinch game, and forward-coming knee style. A tall fighter, Petchboonchu perfectly married the clinch and knees, as any aspiring Muay Khao should do. 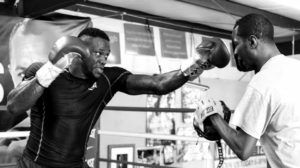 With impressive stamina and an advanced technical understanding of how to exhibit varying degrees of attack in the clinch, the Muay Thai legend finely honed his style over the span of his career. The success he enjoyed, as a result, sees Petchboonchu firmly established in the Muay Thai history books. 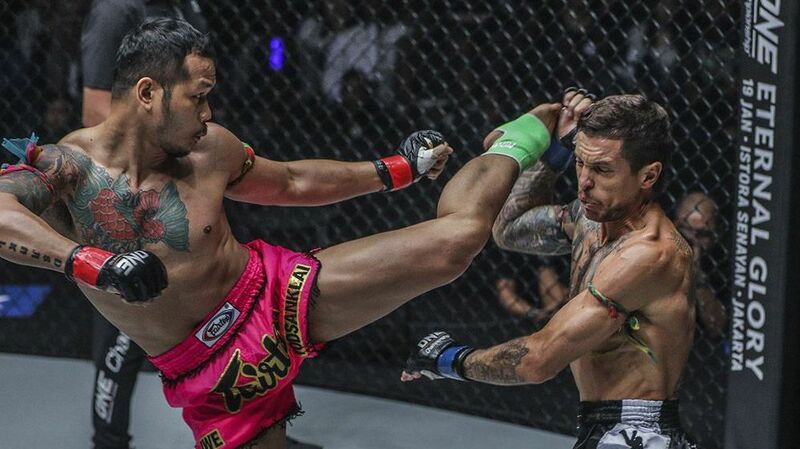 Those new to the sport of Muay Thai may have already heard the name Dieselnoi. For those who have not but want to fight in the Muay Khao style, now is the time to get acquainted with this legend of the sport. For many Muay Thai enthusiasts, Dieselnoi is – at very least – one of the top three fighters in the history of the sport. Others will argue that he is the absolute best. In terms of Muay Khao fighters, there is no doubt that the Golden Age fighter tops the list. The reason for this is that Dieselnoi Chor Thanasukarn was such as feared fighter. Having started fighting at a young age, he quickly established himself as outstanding. His clinch game was watertight, and his knees would go on to be the stuff of legend. Dieselnoi’s reputation was so fierce – and his style so powerful – that he could not find an opponent willing to fight him between the years of 1982 to 1984. Eventually, Dieselnoi was matched up with Sagat Petchyindee in June of 1984, beating the brakes off his opponent and avenging two prior losses. Once again, the Muay Khao extraordinaire was without any competition. 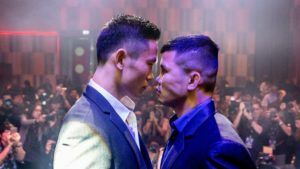 Dieselnoi decided to take things outside of his usual realm, fighting internationally against the likes of famed Japanese kickboxer Shogo Shimazo and Canada’s karate champion Peter Cunningham. The Muay Thai legend’s style was far too much for his opponents to handle. The combination of his superior strength, incisive knees, and peerless stamina saw him simply dominate. 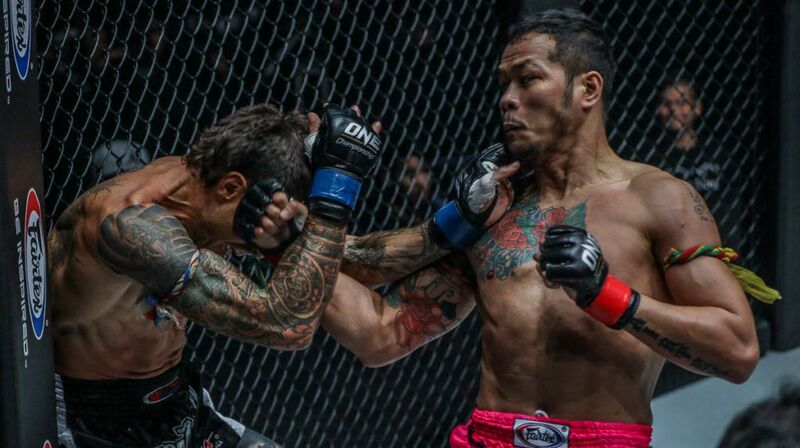 Despite growing offers of fights, Dieselnoi would hang up his gloves at the age of 25 as a multiple-time Muay Thai World Champion with an incredible record of 122 fights, with 110 wins (40 by KO), 10 losses and 2 draws.